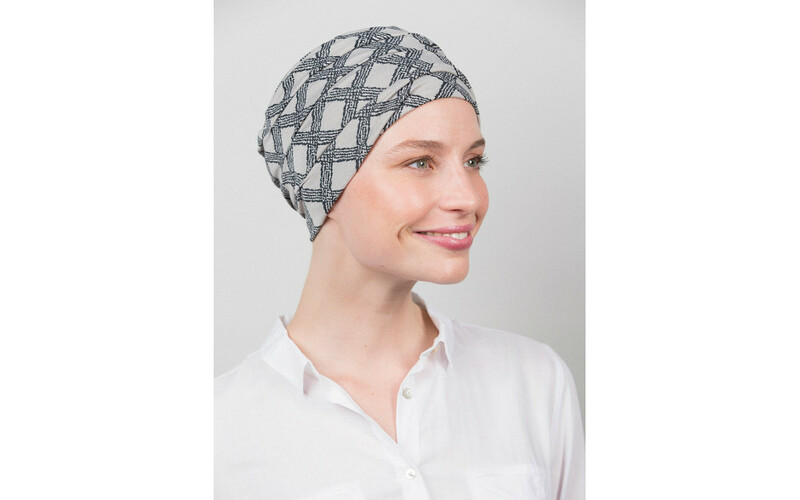 Pair this hip chemo hat with any outfit. The stylish Crystal print looks cool and trendy with denim and the muted beige or grey shades are perfect for a timeless, elegant look. 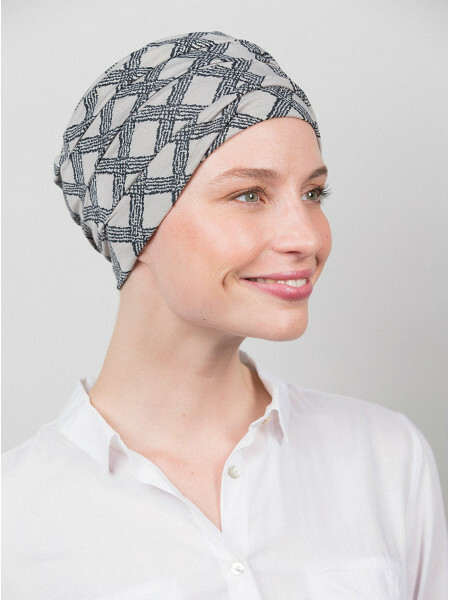 Comfort and fashion combined in a trendy cancer turban.